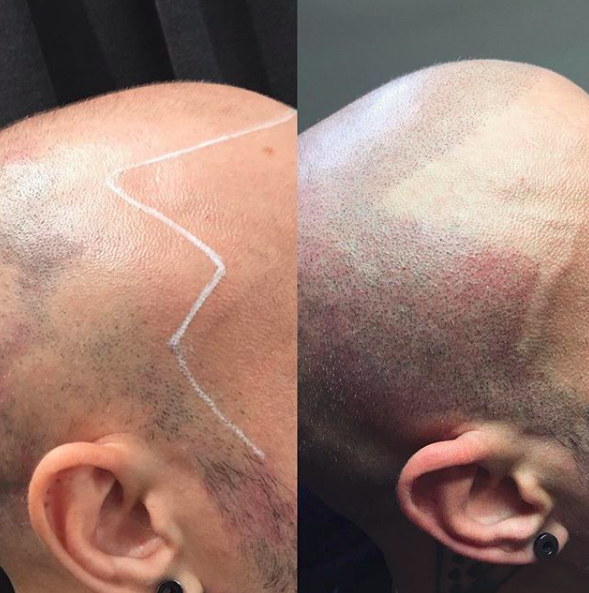 Micro pigmentation was developed as a cosmetic procedure for both men and women who suffer hair loss. This procedure leaves tiny micro dots which resemble hair follicles on the scalp, filling in the balding area and giving it a full natural look. The machine used is specially designed with state-of-the-art technology and has been created specifically for scalp artistry. 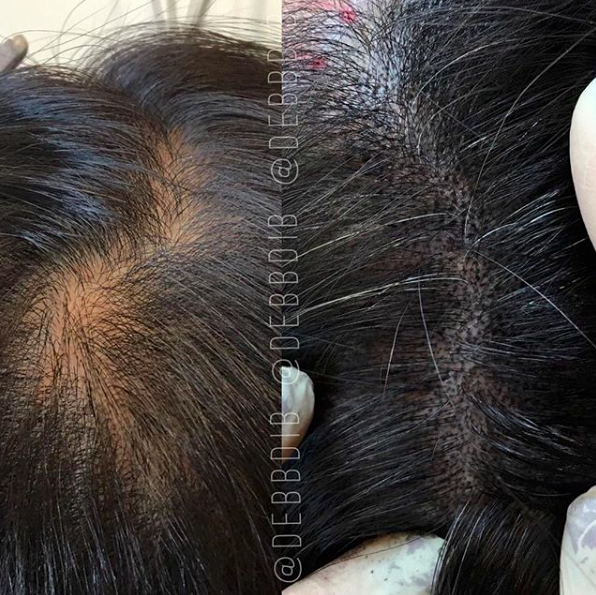 Density is a procedure using an electrical devise to densely saturate the scalp by tattooing micro dots under existing hair, creating a shadow effect reflecting the illusion of thicker hair. Because balding does not discriminate, this procedure is excellent for both men and women. Is Micropigmentation for the Scalp good for me? If you’re stressed about hair loss and have tried everything method, such as prescriptions, thickening shampoos, messy sprays and costly treatments which do not promise results…this, honestly, is an affordable and effective option that is most likely for you. Taking 3 to 7 visits to complete the effect, the procedure can last 8-15 years for a healthy person. Lifestyle does influence durability and stayablity of artistry. This treatment is fully natural looking and boosts confidence whether male or female. The before and aftercare is minimal and simple to follow. You couldn’t ask for more. If you’re using colour sprays and hats to disguise thinning, put them away because this game changer is likely for you! As each person will respond differently, we do our very best to make sure the client is as comfortable as possible. We, the client and I, discuss and decide together what is in the best interest for the client. Having a clear understanding of what is involved in the procedure is the first step. Knowledge is power. While most people tolerate this procedure very well, an application of a fast-acting numbing solution, if necessary, will be applied throughout the treatment and will result in comfortable and positive experience. 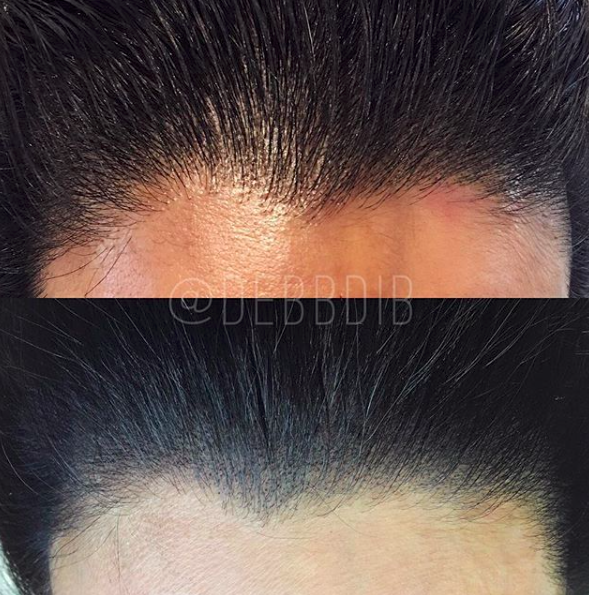 What is Microblading the Scalp? This technique uses a disposable blade and handle called a micro blade. The procedure involves applying hairline strokes to the scalp thus creating a thicker hairline for both women and men. This is best suited for someone not at risk of losing all their hair. The strokes last for a shorter period of time than the an electrical procedure. The powdery residue will remain as the stroke fades, this should be considered when choosing this method. Scalp pricing upon consultation. An overall quote will be based on the industry standard (Norwood Scale) for men and the (Ludwig scale) for women. Contact us at maryam@maryamcollahi.com with well lit photos of your scalp. All head work requires consistency with bookings. The client is required to pre-book their treatments from beginning to end in order to achieve the final effect of a natural head of hair. Failing to do this may result in patchy unfinished work. All head work require a deposit of $200 to secure appointment time. Should the client decide to add an additional area for tattooing at anytime, deviating from the original plan, will require more bookings and a greater cost to the client. With proper care, using high spectrum sunscreen when outside, SMP commonly lasts for years. Client with a healthy immune system and a full series of SMP treatments, can last 8-15 years before needing a touchup. WE HAVE A NO REFUND POLICY & WE RESERVE THE RIGHT TO REFUSE SERVICE TO ANYONE. Copyright 2019. Designed by CityPOV Interactive Inc.